The APA-500 dispenser is the dispenser component of the StripPax® and StabilOx® Systems and dispenses on demand from an operator’s signal with the capability of dispensing up to three packets at once. 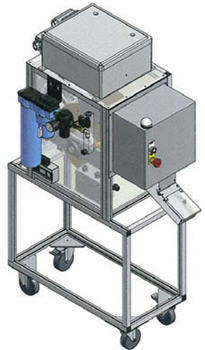 The Multisorb APA-500 is the dispenser component of the StripPax® and StabilOx® Systems. Multisorb’s systems approach combines the proven performance of our sorbent packets with the proven reliability of our APA-500 sorbent packet dispenser. The APA-500 is custom manufactured and works exclusively with Multisorb’s StripPax® and StabilOx® Packets. The APA-500 dispenses on demand from an operator’s signal with the capability of dispensing up to three packets at once.